A New Genocide for Egypt's Christians? At least 200 Coptic Christian families have fled their homes in the north Sinai city of al-Arish since last month. Yet another murderous wave is taking Egypt's Coptic Christian minority by storm, leading to another exodus from their homes. Last week in al-Arish, Sinai, Islamic State affiliates killed a 65-year-old Christian man by shooting him in the head; they then abducted and tortured his 45-year-old son before burning him alive and dumping his charred remains near a schoolyard. January 30: A 35-year-old Christian was in his small shop working with his wife and young son when three masked men walked in, opened fire on and killed him. The murderers then sat around his shop table, eating chips and drinking soda, while the slain lay in a pool of blood before the terrified wife and child. February 13: A 57-year-old Christian laborer was shot and killed as he tried to fight off masked men trying to kidnap his young son from off a crowded street in broad daylight. After murdering the father, they seized his young son and took him to an unknown location (where, per precedent, he is likely being tortured, possibly already killed, if a hefty ransom has not already been paid). February 17: A 40-year-old medical doctor was killed by masked men who, after forcing him to stop his car, opened fire on and killed him. He too leaves a widow and two children. It is likely that more Christians have been slain recently in Sinai; because Copts are being killed in quick succession, it is not clear if ongoing reports are documenting the same or new incidences. For instance, a recent February 24 report says "On Thursday [February 23], a [Christian] plumber in the city was shot dead in front of his wife and children at their home.... A day earlier [February 22], gunmen killed another [Christian] man before his pregnant wife, then calmly drank a bottle of Pepsi before taking off, witnesses told aid workers in Ismailia." Is the February 22 Pepsi drinking incident the same as the one reported above as occurring on January 30, or a different one? 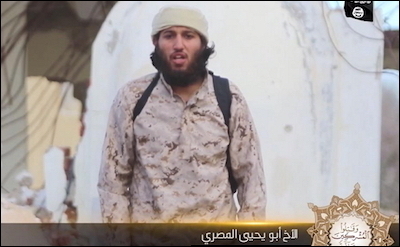 In a February 19 video, the Islamic State in Sinai called Coptic Christians "the spearhead of the Crusader project" in Egypt and warned them that "soldiers of the Islamic State have you in their sights." This uptick in Christian persecution is believed to be in response to a video recently released by the Islamic State in Sinai. In it, masked militants promise more attacks on the "worshipers of the cross," a reference to the Copts of Egypt, whom they also referred to as their "favorite prey" and the "infidels who are empowering the West against Muslim nations." As a result of the recent slayings and threats of more to come, hundreds of Christians living in al-Arish have fled their homes, with nothing but their clothes on their backs and their children in their hands. Most have congregated in a Coptic church compound in neighboring Ismailia by the Suez Canal. In a video of these destitute Copts, one man can be heard saying "They are burning us alive! They seek to exterminate Christians altogether! Where's the [Egyptian] military?" Another woman yells at the camera, "Tell the whole world, look—we've left our homes, and why? Because they kill our children, they kill our women, they kill our innocent people! Why? Our children are terrified to go to schools. Why? Why all this injustice?! Why doesn't the president move and do something for us? We can't even answer our doors without being terrified!" (Note: Donations that go directly to the dislocated Christians of al-Arish can be made here). For his part, Egyptian President Abdel Fattah al-Sisi ordered military and security forces to "completely eradicate terrorism" in North Sinai. Such a response might be reassuring to al-Arish's Christians—if it wasn't also deja vu. Back in 2012, and in response to what Islamists perceived as widespread Christian support for Sisi's military coup of then president Morsi—Sinai's Christians were heavily plummeted: one priest, Fr. Mina Cherubim, was shot dead in front of his church; a 65-year- old Christian man was beheaded; several other Christians, including youths, were kidnapped, held for ransom, and later executed when the exorbitant ransoms could not be met. Two churches were attacked, one burned. Just as now, hundreds of Christians fled their homes; and, just as now, Sisi vowed to root out the jihadi nests in Sinai. Incidentally, it should not be imagined that Christians in Sinai are only murdered when ISIS or other jihadis have a special reason (such as 2012's "revenge" spree against pro-Sisi Christians) or when a video inciting violence against Christians is released (as in the recent cases). For instance, in June 2016, Fr. 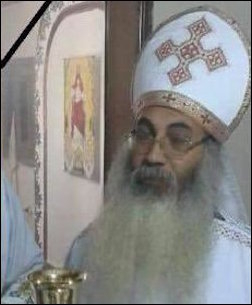 Raphael Moussa 46, was randomly shot dead in "a hail of bullets" outside the Church of the Martyr of St George in Sinai. In January 2015, masked gunmen stormed the home of a Christian man residing in al-Arish. After robbing him and his family at gunpoint, they shot him several times in the head, instantly killing him. According to the slain man's wife, her husband was murdered "only because he was a Copt [i.e., Christian]." She pointed out that the masked intruders robbed everything in sight—including the money in his pockets, the jewelry she was wearing, her handbag, cell phones, and even a Bible. Then, after stealing everything available, and for no practical purpose, they shot her "infidel" husband dead. A month later, another Christian man in al-Arish was randomly and fatally shot. A new genocide appears to be unfolding, as an indifferent West looks the other way. Nor, it should be noted, is the slaughter of Egypt's Christians limited to Sinai, which some downplay by pointing out that the peninsula is already an acknowledged hotbed of jihadi activity. Last month, few Western media reported on any of four separate murders of Christians that took place over the course of just ten days—murders that occurred all around Egypt proper, not Sinai: in Alexandria (where a Muslim man crept up behind a Christian shopkeeper and slit his throat, murdering him); in Lower Egypt (where a Christian man, 62, and his wife, 55, were found slaughtered, with numerous stab wounds, in their home); in Upper Egypt (where a young and well-liked Christian surgeon known for offering free services to the poor, was also found slaughtered with many stab wounds in his apartment). And of course there was Cairo—the nation's capital—where, two months ago, an Islamic suicide bomber entered St. Peter's Cathedral and killed nearly 30 Christians, mostly women and children. In short, a new genocide appears to be unfolding—the Obama administration itself admitted that ISIS is committing "genocide" against Christians and other minorities—even as an old indifference looks the other way.